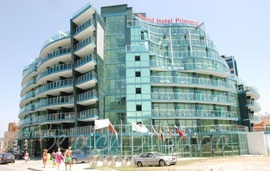 Perla Royal Hotel is located on the beach, at the first line in Primorsko. The city center is a 5-minute walk away. 200 meters from the hotel there is a grocery store. Burgas Airport is 60 km away. 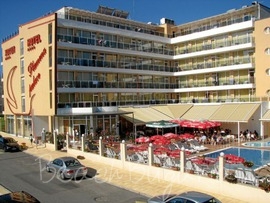 Primorsko Del Sol hotel (ex. Grand Hotel Primorsko) is situated in the southern part of Primorsko resort, 200 metres from the city centre and 50 metres from the beach. 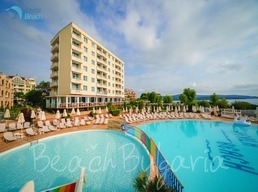 Perla Beach I is part of Perla complex situated right next to the sea, on the Northern beach of the town of Primorsko. 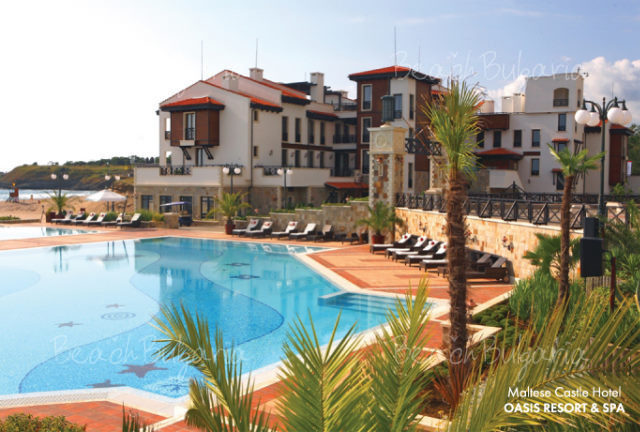 The complex offers a beautiful view of the Black sea. The complex offers two green inner yards. Perla Gold Hotel is part of the Perla Beach complex. It is located on the first line, 300 m from the North beach of the town of Primorsko. The nearest airport is in Bourgas, 60 km away. 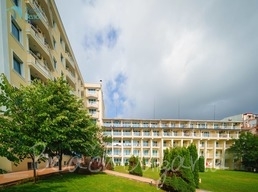 Plamena Palace hotel is located 200 m away from the North Beach of Primorsko and is located not far from the main shopping street and the city’s attractions. 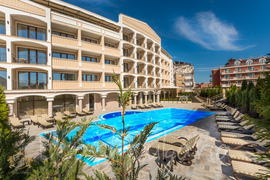 Siena Palace Hotel is located on the main Iglika street, a 3-minute walk from the sandy dunes of the North Beach in Primorsko. 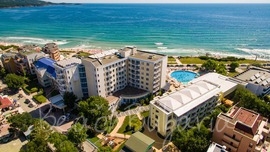 Perla Luxury hotel is situated in Primorsko resort. It is attractively located in close vicinity to the seaside, at the northern beach line of the resort.